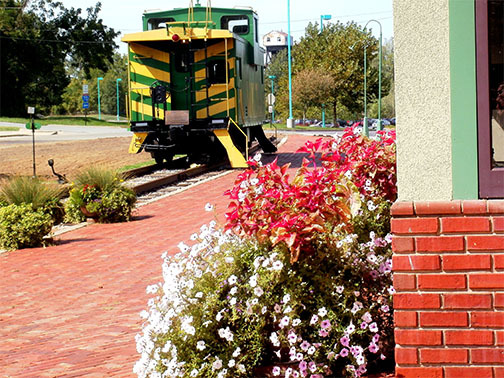 The Boonville Area Chamber of Commerce has a staffed office located in the historic MKT Railroad Depot—right on the Katy Trail State Park. Our office hours are Monday through Friday from 9:00 a.m. to 4:00 p.m. If you need assistance or information about our area, please contact us—we are happy to brag about our region! We strive to provide exceptional customer service to all who contact our office for assistance. Providing excellent service to our members is very important to us and maintaining a rewarding business relationship is top priority. If you wish to discuss ideas or concerns about the Chamber, please contact us. The Boonville Area Chamber of Commerce is the primary source of community, business and recreational knowledge and opportunities for the Boonslick region. The Chamber assists residents, visitors, businesses or those relocating to our community. Each day the Chamber office takes phone calls, responds to emails and letters, and receives visitors all requesting information about our Chamber members or our region. The Chamber continuously refers customers and clients to members who provide the desired products or services. All members are welcome to display information about their business in the Chamber office at no charge. To request information, fill out and submit the form or contact the Chamber office.